Finally, a DGL that works fast and tastes great, too! DGL Ultra extra-strength deglycyrrhizinated licorice stimulates and accelerates the natural protective factors in the digestive tract which helps relieve occasional stomach discomfort immediately. 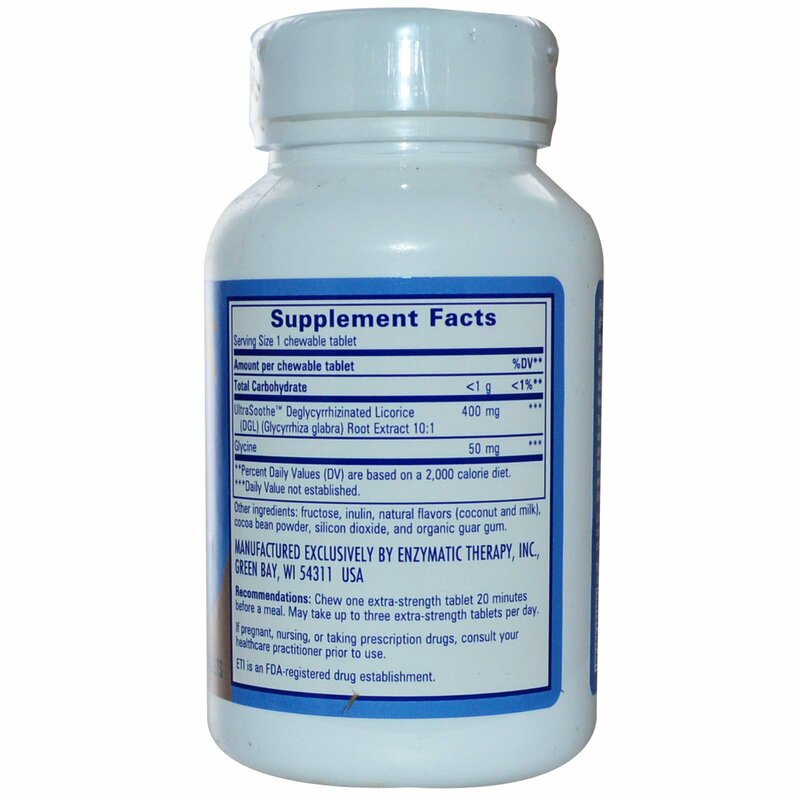 In DGL Ultra, the glycyrrhizin compound-associated with high blood pressure-has been removed. The potent 10:1 extract makes this product ultra-concentrated, which means it provides immediate benefits and maximum absorption. It's chewable because saliva enhances the effect of DGL Ultra's natural compounds and it tastes great simply to please your palate. 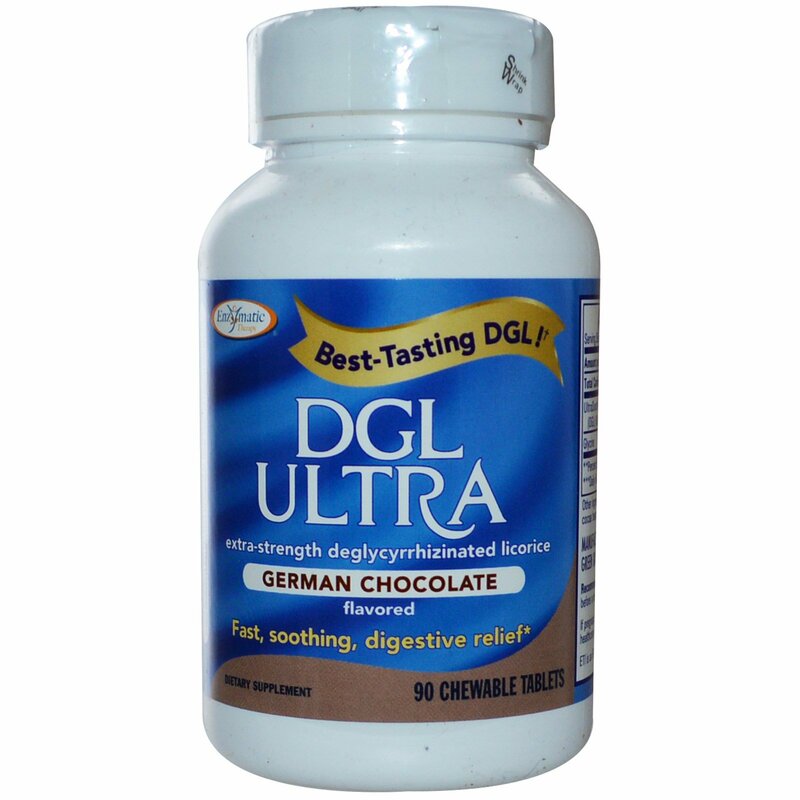 The proprietary German Chocolate flavor was voted the #1 best-tasting DGL! Try it today to experience maximum relief! Chew one extra-strength tablet 20 minutes before a meal. May take up to three extra-strength tablets per day. Fructose, inulin, natural flavors (coconut and milk), cocoa bean powder, silicon dioxide, and organic guar gum. Contains no yeast, wheat, gluten, corn, soy, artificial coloring, artificial flavoring or preservatives. This product contains natural ingredients; color variations are normal. If pregnant, nursing or taking prescription drugs, consult your healthcare practitioner prior to use.